Another day, another Love Island Twitter storm. It seems that no matter how long we watch it, the show everyone loves to hate just keeps managing to get people riled up. And this time might be the worst of them all, and it actually involves a conspiracy. Eagle-eyed viewers of the ITV2 show were left stunned when they saw what looks like a complete stranger in Gabby’s bed. It would be one thing to see a fellow islander snuggling up to the contestant, but the gent in the picture bares little resemblance to Gabby’s boyfriend and fan favourite Marcel. Marcel’s tattoos have famously disappeared thanks to his tan whilst on the show, but the snoozing stranger clearly has arm tattoos that deceptively give this impostor the appearance of luscious locks. Twitter users have been arguing since the episode aired about the shape of Marcel’s face and the extent to which he has facial hair, which to be fair seems a little excessive. Could it be that Love Island actually uses actors to fill in gaps in the show in case the contestants need to leave for whatever reason? Could it be that they have doppelgangers waiting in the wings for continuity? Could it be that none of this matters? This isn’t the only drama to come from the couple in recent episodes, with many fans speculating that Marcel is not really Gabby’s type on paper at all. 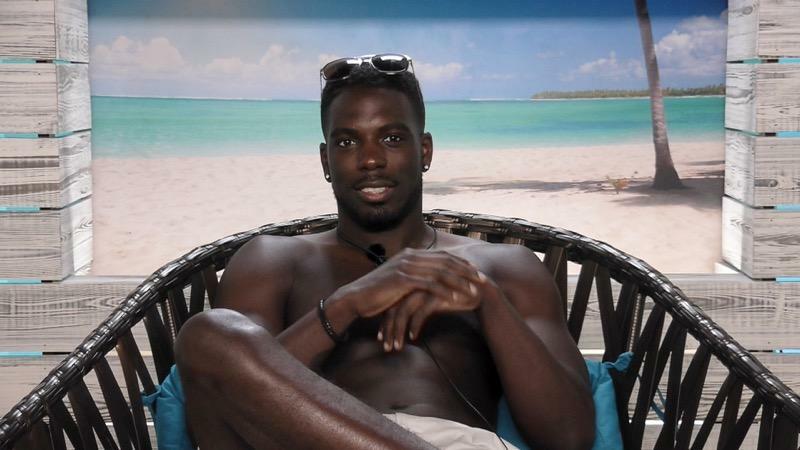 Fans cite the lack of affection that Gabby shows Marcel as evidence that she is leading him on in order to win the £50k prize. Only time will tell whether this turns out to be true. If it does come out that her motives are untoward, then who knows what chaos will ensue. In the meantime, we still have the ultimate power couple in Kem and Chris.